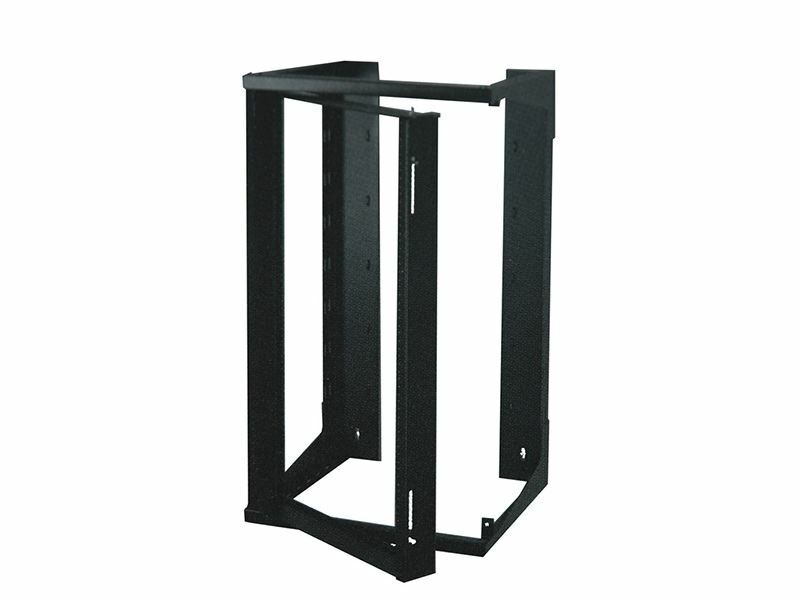 These 2-Post Swing-Out Wall Mount Racks offer a hinged swing-out design for convenience for easy access of the voice and data equipment mounted on these racks. They are constructed of quality aluminum and are tapped for #12-24 mounting screws. They have a professional looking black microfinish and are available in 40" and 49" heights, as well as in an 18" and 24" depth. Rack Size Depth (Internal) 18"